This entry was posted on March 13, 2012 by joeleagle. 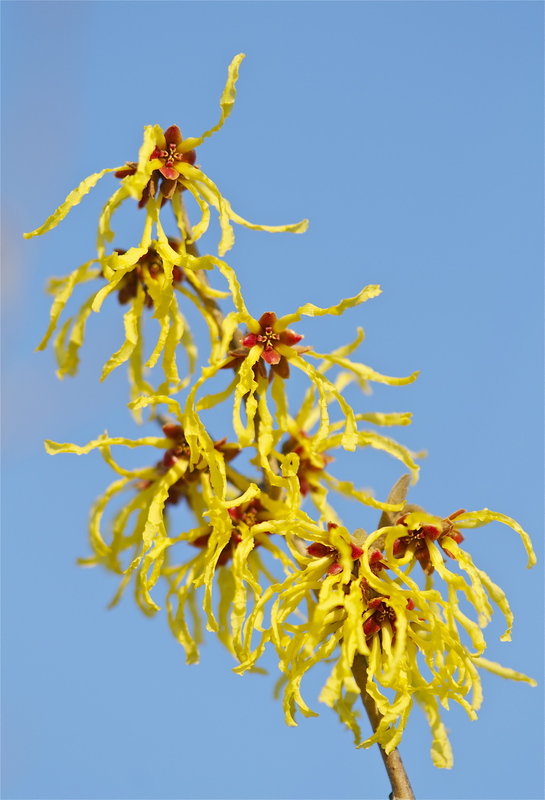 It was filed under Flowers, Trees and was tagged with Hamamelidaceae, Hamamelis intermedia, Witch-hazel. Never knew what witch hazel looked like except in a bottle! Thanks for expanding my knowledge….very unusual flower photographed by a very unique guy.